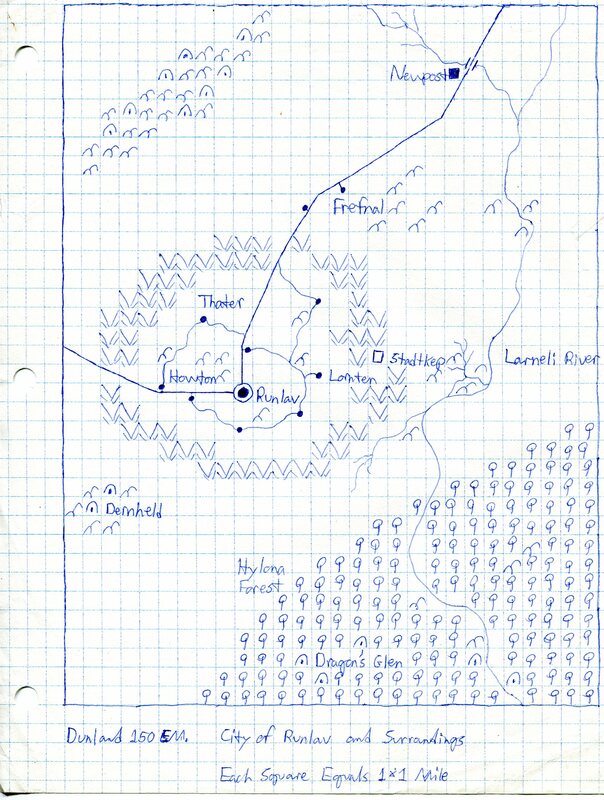 Here is the original version of the territory around Ludewood. 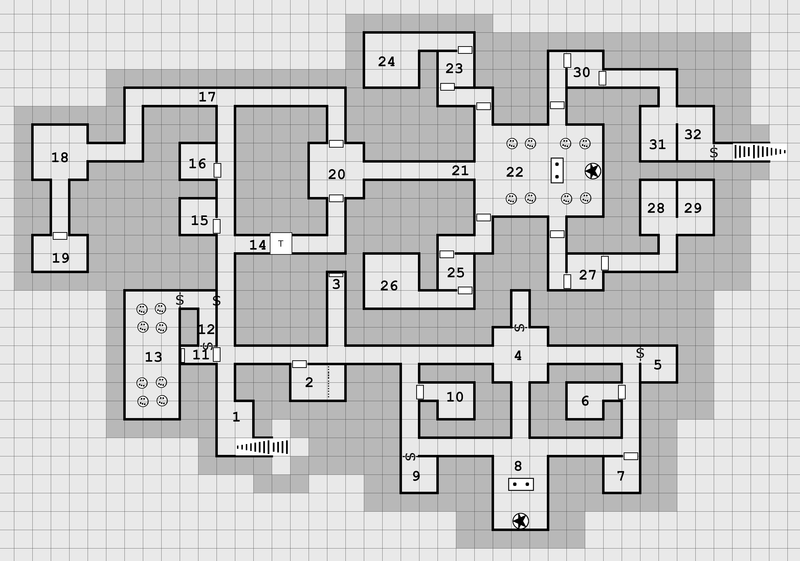 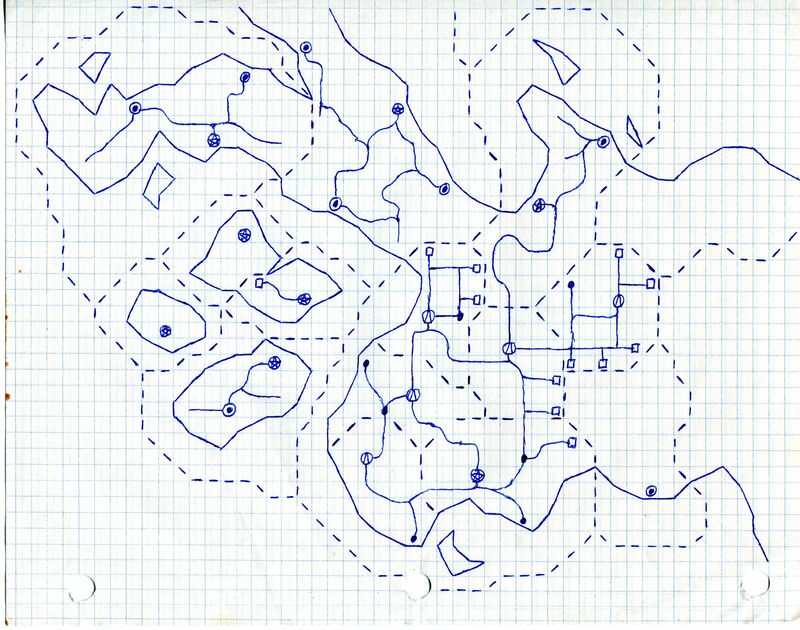 This map was the basis of my modern rendition of the same area. 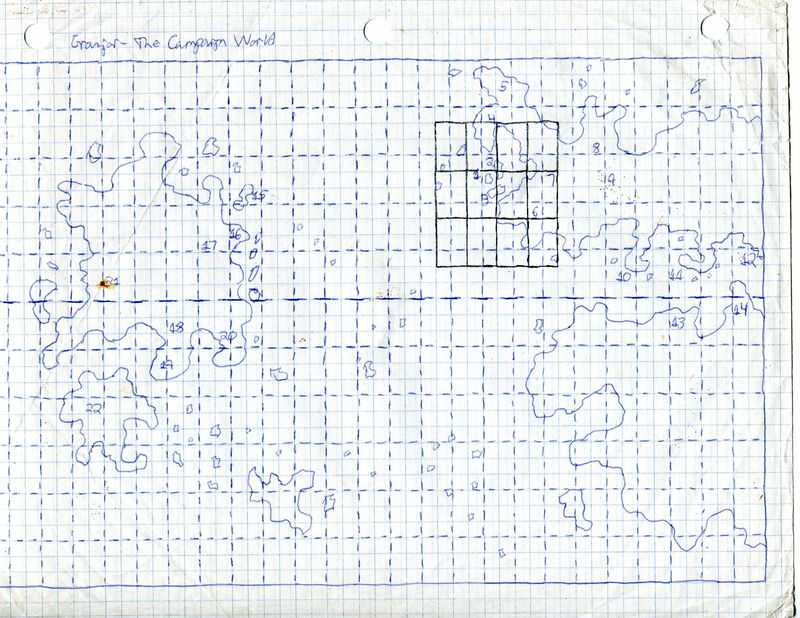 Map Key can be found here. 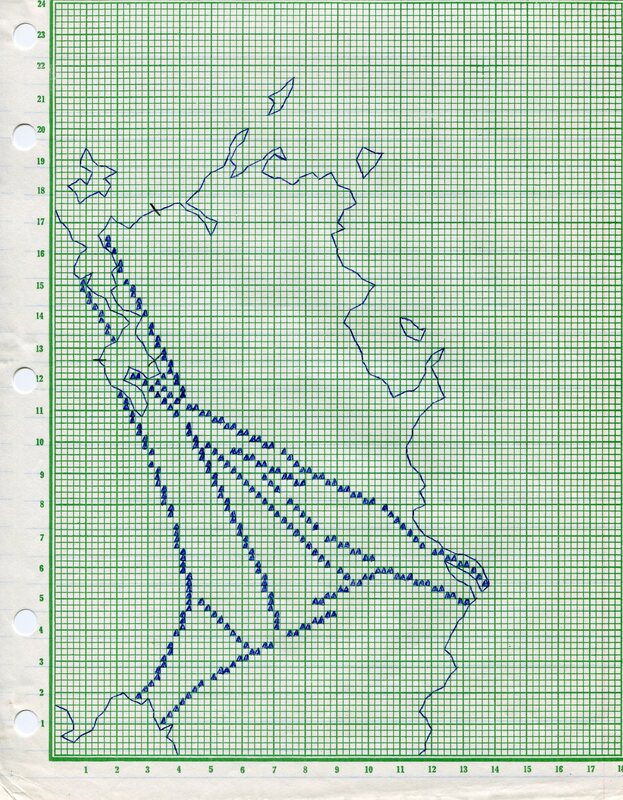 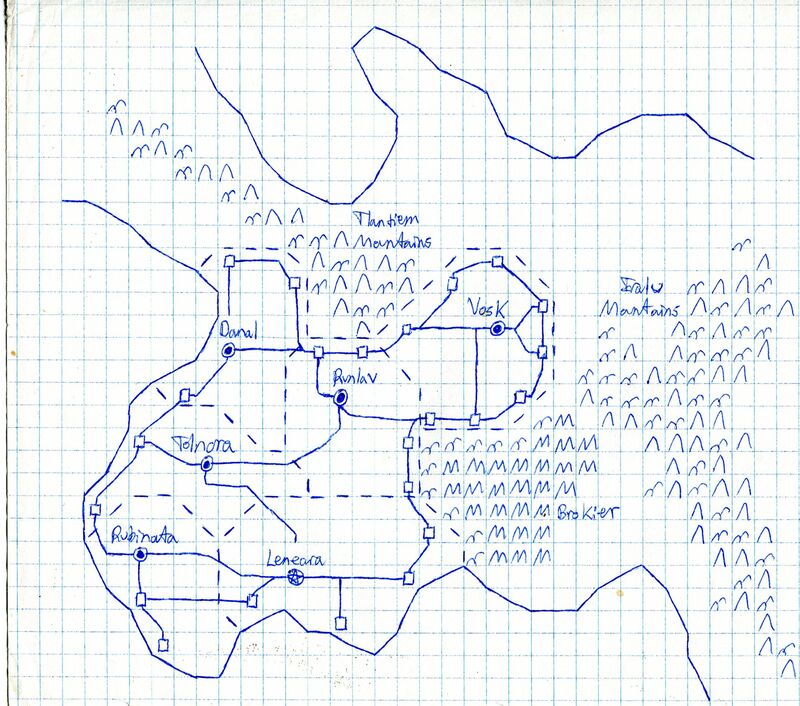 I have found and scanned a few more old maps. 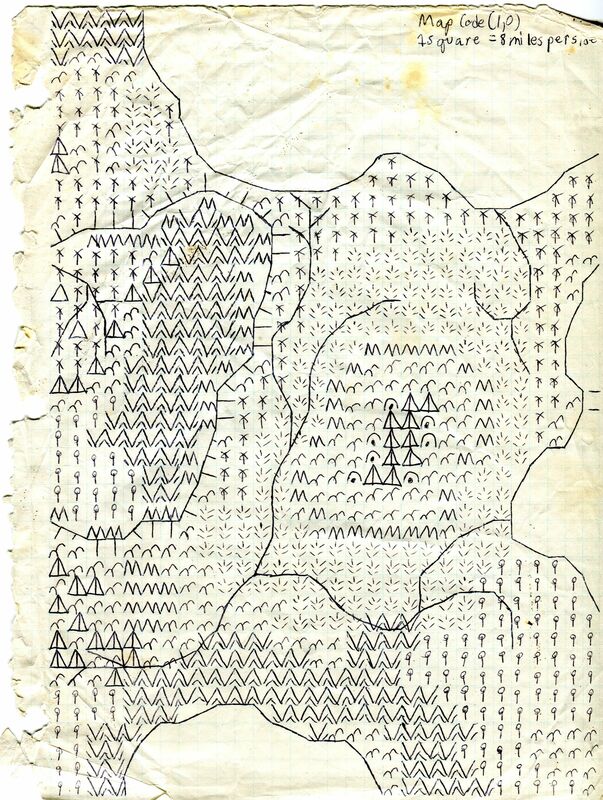 These are from the Danarbi continent. 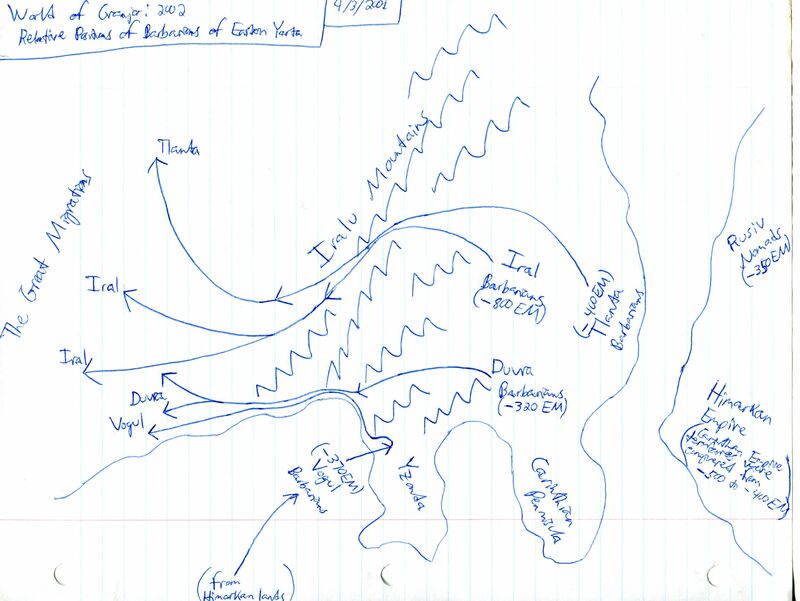 These were drawn sort of stream-of-consciousness style. 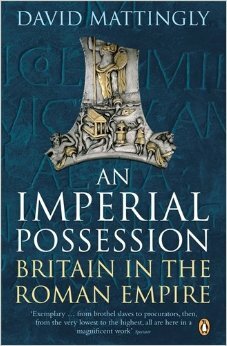 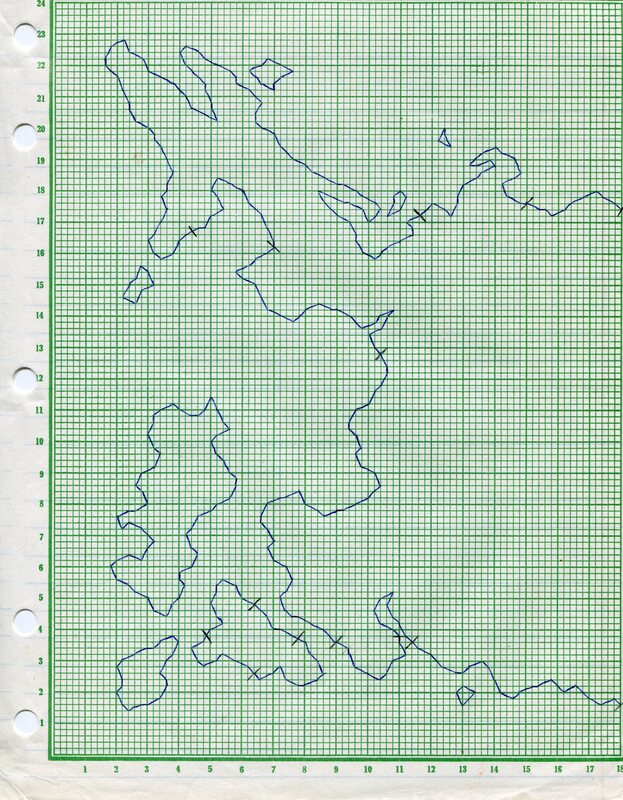 I only had a vague idea of drawing “not-Europe” at the time. 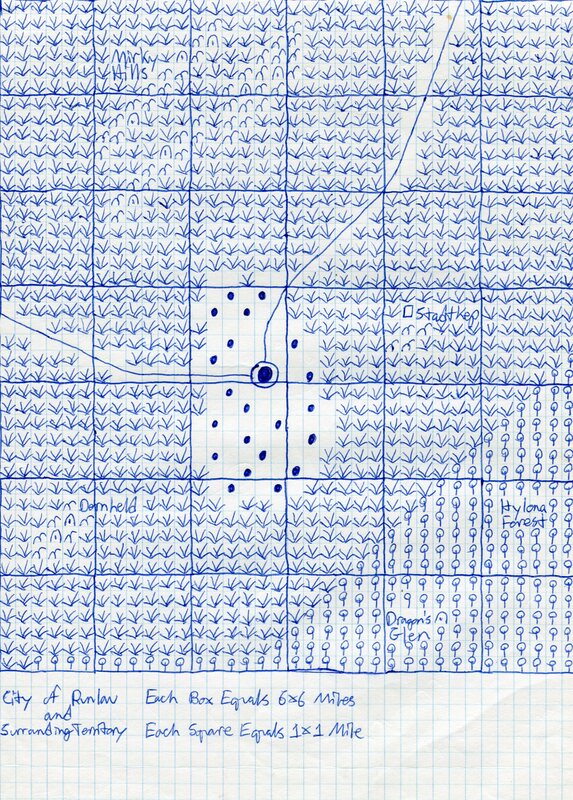 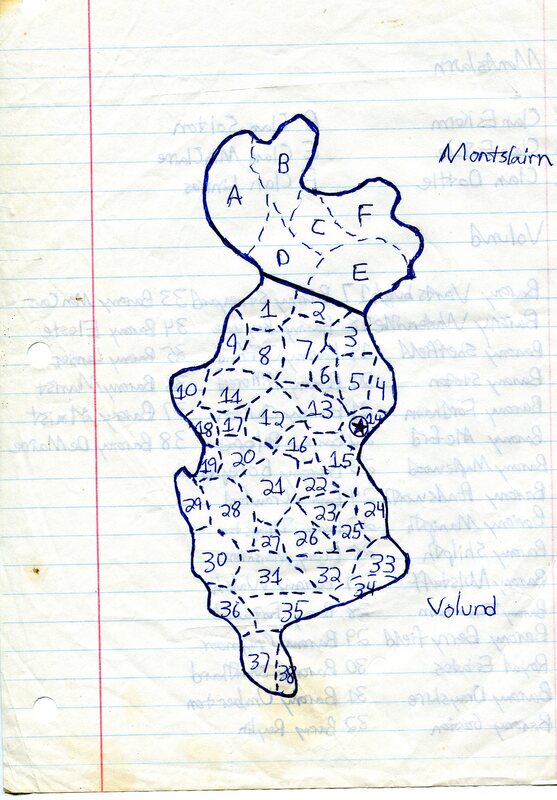 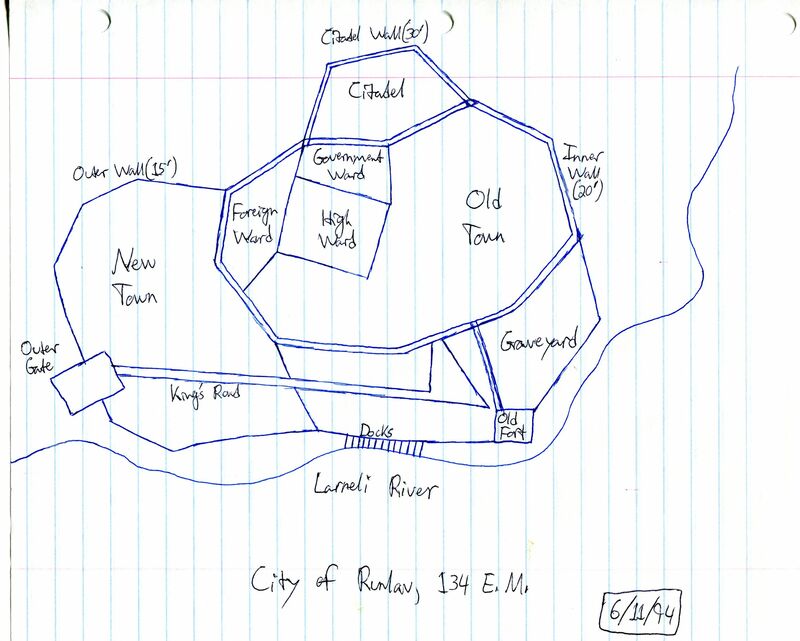 It was not until after the map was drawn I even came up with the name Danarbi. 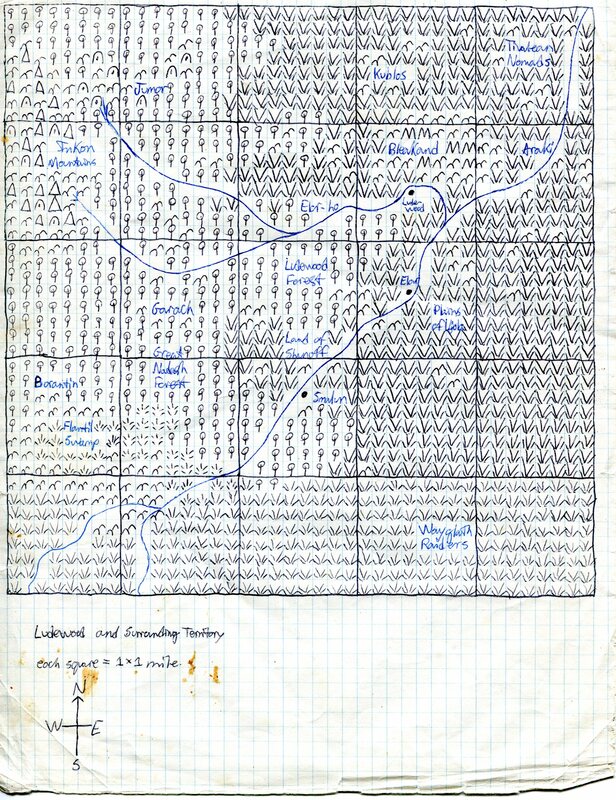 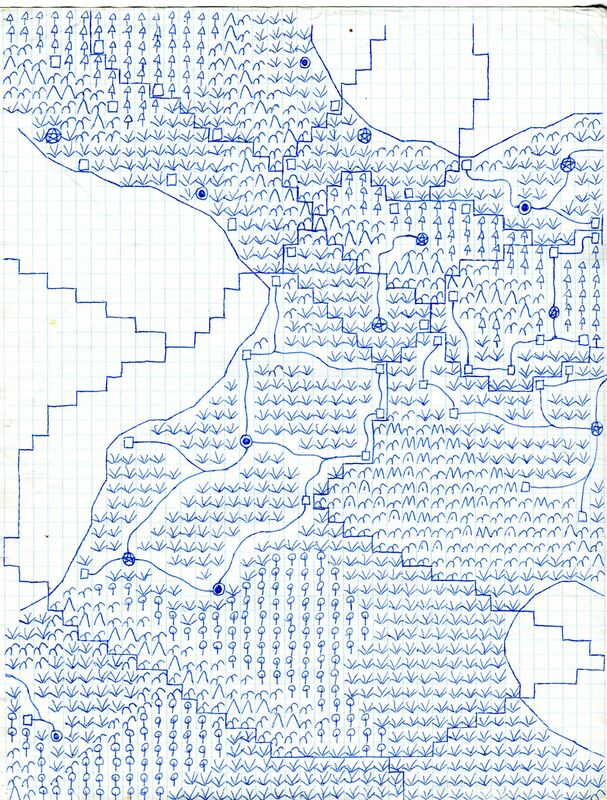 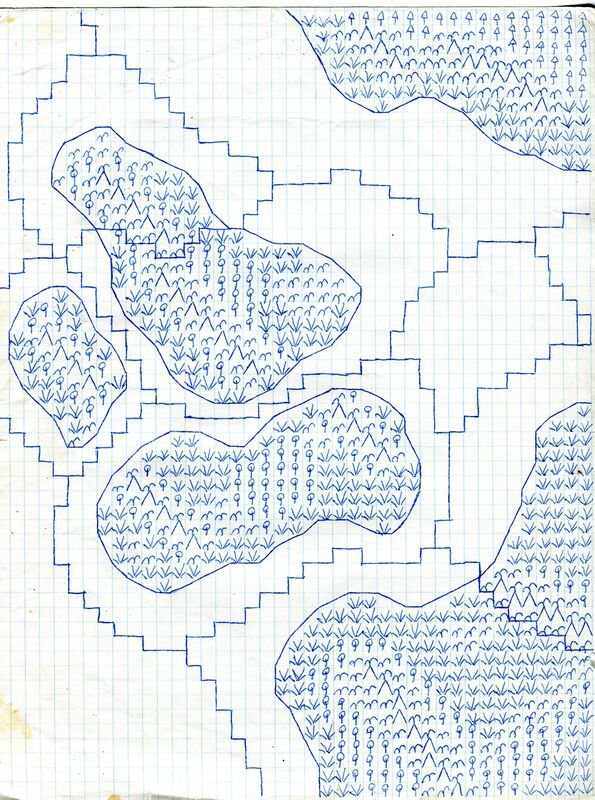 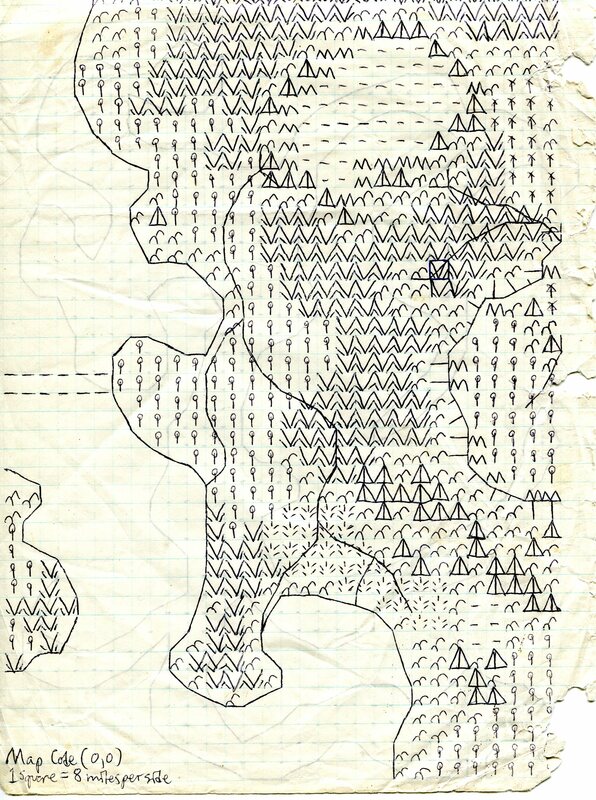 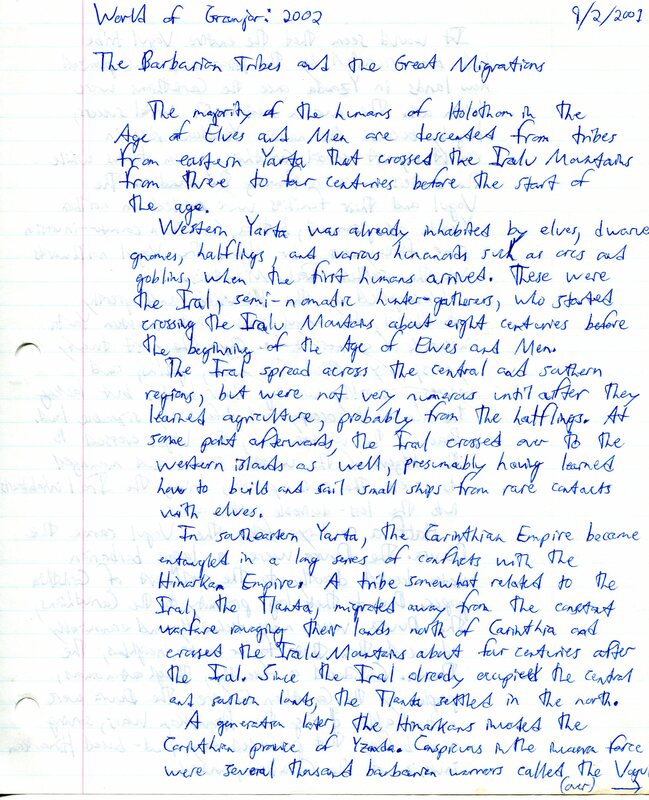 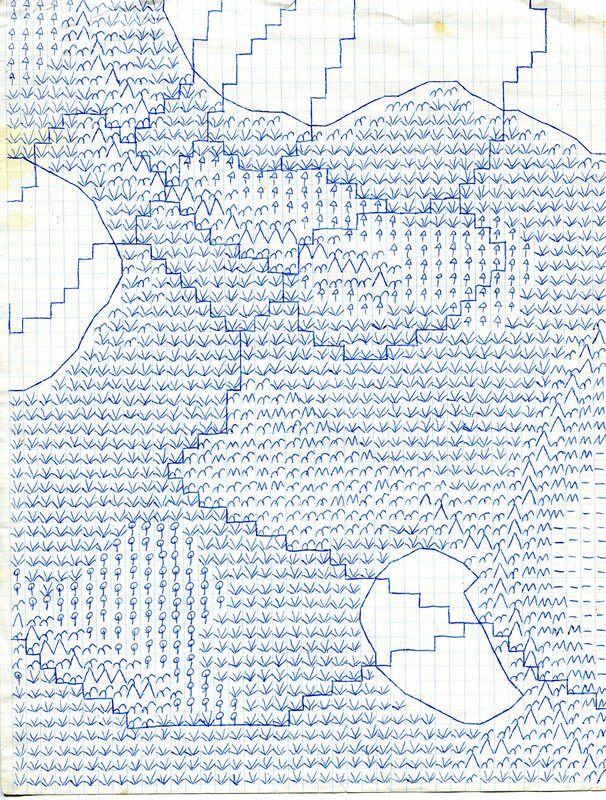 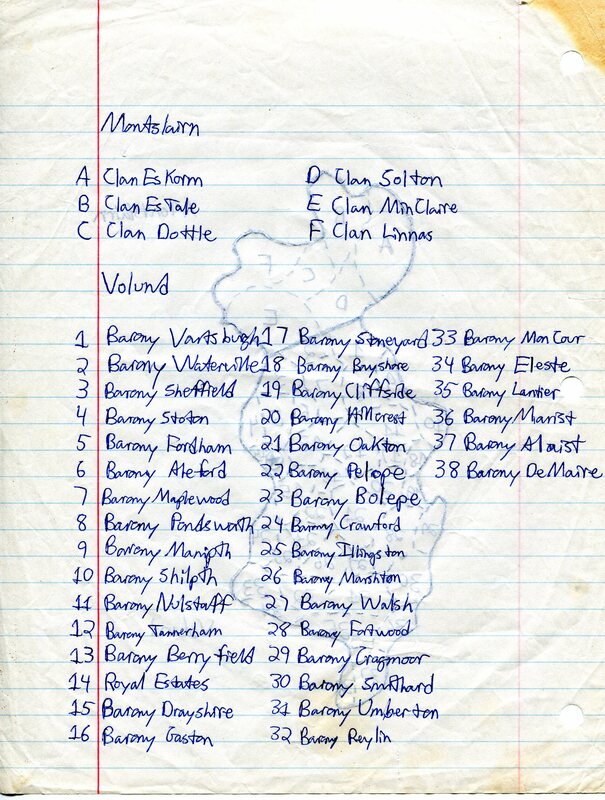 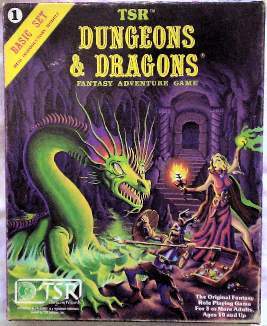 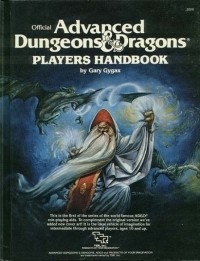 I’ve scanned some more things from my old D&D world notebooks (got hundreds of pages scattered among 6-8 notebooks from over many years). 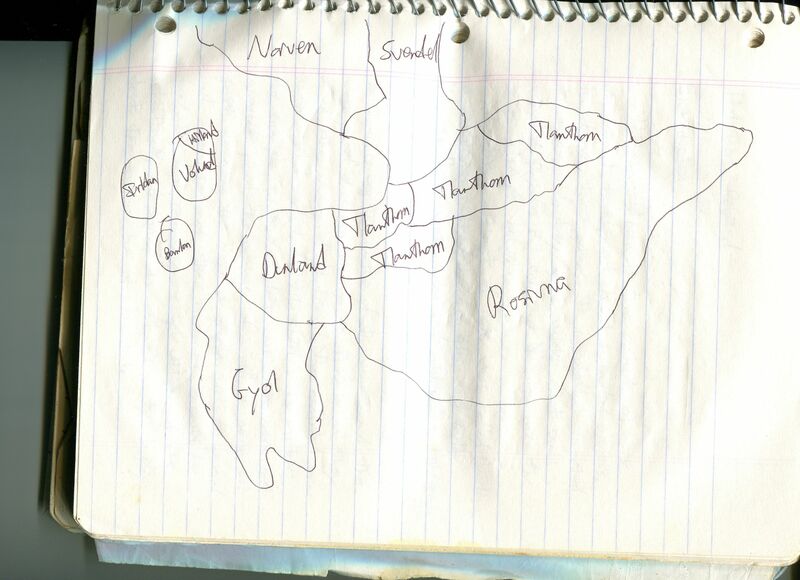 First I came across a rough map of the political divisions of Holothom, showing the major realms a couple of centuries before The Reign of The Devastator. 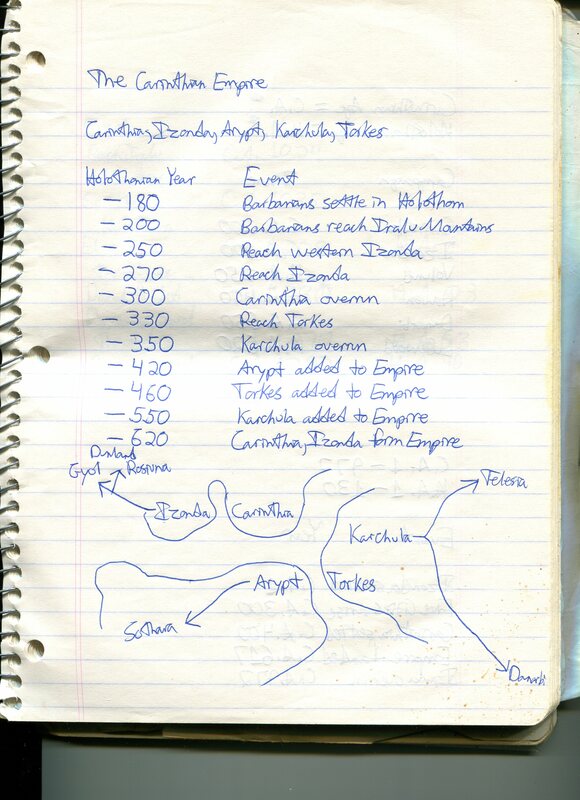 I also found some rough maps and documentation about the “Barbarian Migrations” that resulted in humans first entering and settling in Western Yarta (the name of the continent the lands of Holothom are located on). 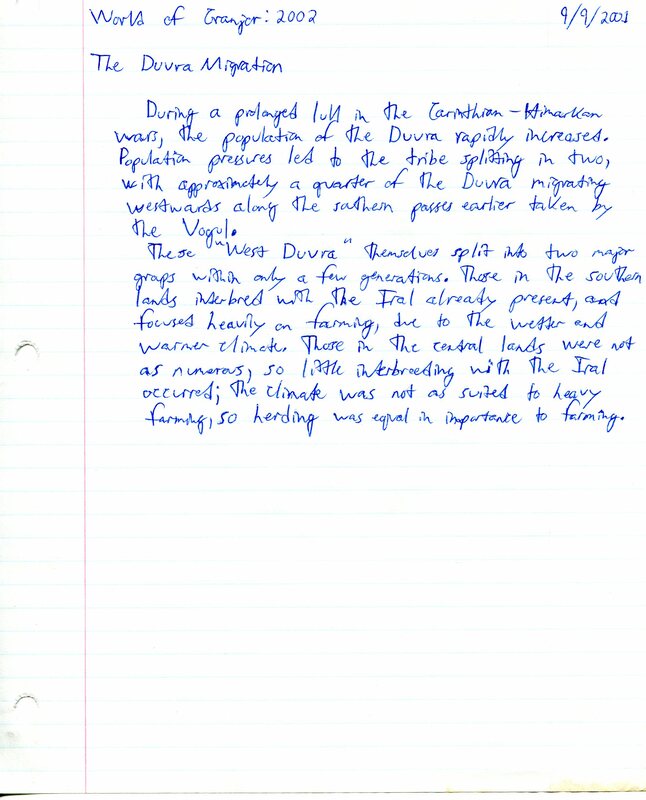 I have no idea if anybody else can actually READ my handwriting or not, so let me know if it’s a problem. 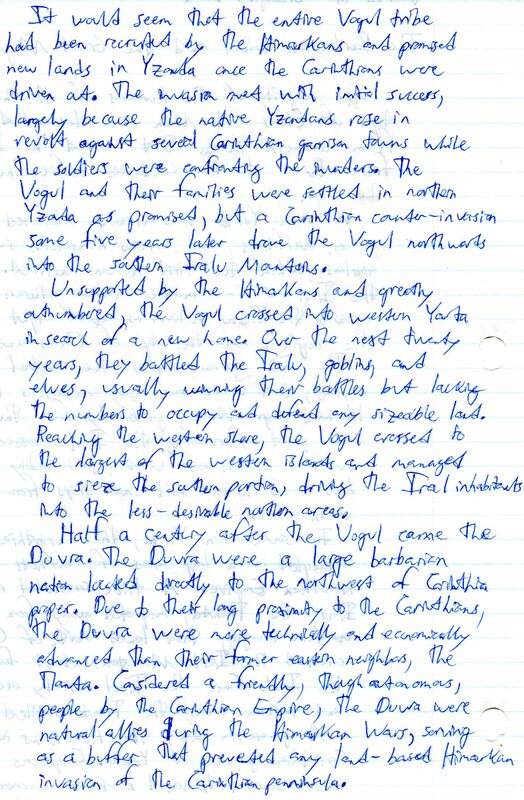 I can type it up and post it here if needed (I am a SLOW typist; was using computer keyboards many years before having any actual typing instruction).